In 14th Century, Constantinople was the most happening place; known for Royalty, Traditions & Festivity and the center of this Fiesta was ‘Top Kapi Palace’ of the Ottoman Empire. Besides all the fanfare, the Grand Palace had a history of festive banquets that spread over a few hundred years. During all these years, hundreds of chefs experimented with enticing flavors to please their King and his most honored guests. Babagoosh was one chef famous for his mouthwatering recipes and for that the King rewarded him graciously and made him the Grand Chef. 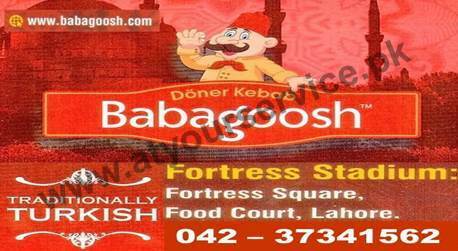 Babagoosh served the royalty with Traditional Turkish cuisine for 60 long years. Babagoosh was a passionate chef and he treasured his secret recipes that had gained him so much fame. So when the time came he handed his secret recipes to his loving daughter Shahoban who later migrated to Izmir and never returned. Time passed Constantinople became Istanbul and Babagoosh with his secret recipes became nothing more but a cliché. Centuries passed and it was not until the secret recipes regained its true legacy to the great grandson of Babagoosh who was named after his great grandfather. After he found the Secret Recipe Book, Young Babagoosh tried each and every of those recipes to perfection. Today, Babagoosh is proud to share a few of his Great Grandfather’s Traditionally Turkish Recipes with the present world, which were once enjoyed only by the Royalty.